NEARLY 3,000 employees of the banking industry were honoured last night at the Excellent Service Awards for their outstanding service this year. 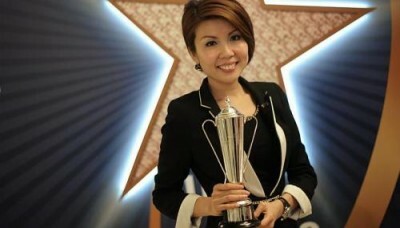 Ms Jerzel Chai, 34, a branch manager at United Overseas Bank (UOB), was named the Service Excellence Champion. This is the third year that this award has been won by UOB. This accolade is conferred by the Association of Banks in Singapore to exceptional banking officers who have gone beyond their job scope to provide excellent customer service, and are a source of motivation to their peers. The award presentation was held at the Raffles City Convention Centre. Ms Chai, who has been with the bank for three years, firmly believes that service should come from the heart. As an example of her approach, according to the citation, Ms Chai once noticed a distressed business customer at the UOB branch in Katong. It turned out that the customer had planned to visit her supplier in Johor Baru to make an urgent payment, but slipped and hurt her ankle just before arriving at the branch. Ms Chai drove the customer to Malaysia to meet her supplier. "I don't see meeting my clients' needs as a challenge. I just treat them the way I want people to treat me, so when I heard she needed to pay her supplier, I really wanted to do it for her," she said. Ms Chai was a Silver Award winner at the same awards last year. Ms Kan Choon Ling, customer service manager at OCBC Bank, and Mr Wayne Chan, assistant vice-president of client services at HSBC, were the runners-up. This year, ANZ Bank and Aviva also took part in the awards for the first time, joining DBS Bank, OCBC Bank, Standard Chartered Bank, HSBC, UOB and Nets. In a statement, ANZ Singapore chief executive Vishnu Shahaney said: "We are very honoured to receive this accolade as it acknowledges the work that we have done in building a culture of service excellence." The Excellent Service Award was launched by Spring Singapore in 1994 to recognise individuals who have delivered outstanding service, and to develop servicemodels for staff to emulate. Banks started to participate in the awards in 2003. Mrs Ong-Ang Ai Boon, director of the Association of Banks in Singapore, said: "The Excellent Service Award is an investment into creating a culture of service quality in the banking sector. Service excellence does not just happen. It takes a sustained effort and prioritisation from bosses and employees alike."